Peter1 had the most liked content! Thanks! Yes i have make a small out in the my neighborhood without any problem, no one seems to see that there are heeled shoes, there are a very confidence booster boots ! Great look @Cali, I would like to wear the same out. Wow 15h on heels, how were your feet at the end of the day? 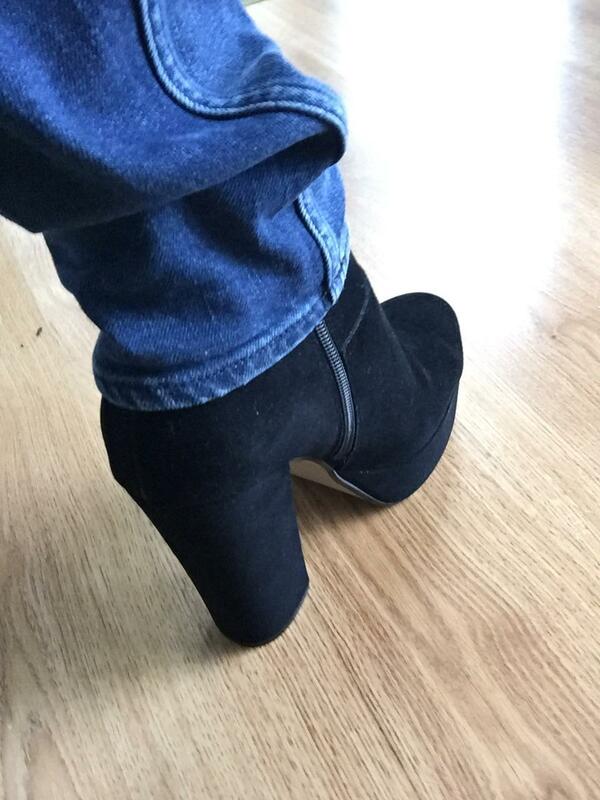 Very nice wedges to go out with the fear of attract the attention on you @Krystof! I really admire your story, you are making such huge step on each day out! Thats impressive how well you pass! Btw you have a very good taste in term of clothes! I’m not into very fem look but I must admit that you may enjoy to sometimes go out fully dressed! @Cali this is a nice confidence booster message you write here ! Wow, very cool look, do you venture out in that great outfit ? Hope all's well... long time no speak! Thanks for your message Jeremy everything is well and you ?! yea, not too bad. just PM'd! Thanks @jeremy1986! 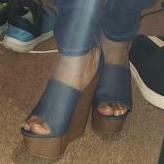 they are exactly 4.5inch with a 1.2 inch platform! As promised maybe the most girliest shoes i own but its confortable and nice looking for staying at home!